What’s Digimon? It’s a show about a group of kids who struggle to find balance between the digital world and their real lives. Technology vs Reality. This is all battle we’re all fighting every day. We’re inundated with a constant stream of information - and technological distractions are everywhere. So discover how to rewire your brain so you can go from overworked and overwhelmed to energized and productive. In my high-energy / high-content speech, I demonstrate specific actions you can take to get more done in less time and eliminate the distractions that can get in the way of success in the academic world and beyond. With these life changing brain hacks on how to focus, you can strike a healthy balance of academics, extracurriculars, and social / family interactions. Really. You can achieve more with a lot less time and effort when you know how to work smarter, not harder. This speech is also a lot of fun, because as a world-touring psychological illusionist I use mind-blowing thought experiments to engage the entire audience with interactive metaphors that really make the light turn on and create lots of unforgettable a-ha moments. Joshua Seth is an internationally acclaimed speaker, author, psychological illusionist, and voice over actor. He’s the author of the best-selling book Finding Focus In A Changing World: How To Make The Imposible Possible by Thinking Differently and speaks to leadership groups, incoming classes, educator trainings, and at graduations on that topic. His dynamic presentations show students how to go from distracted and overwhelmed to focused and accomplished. 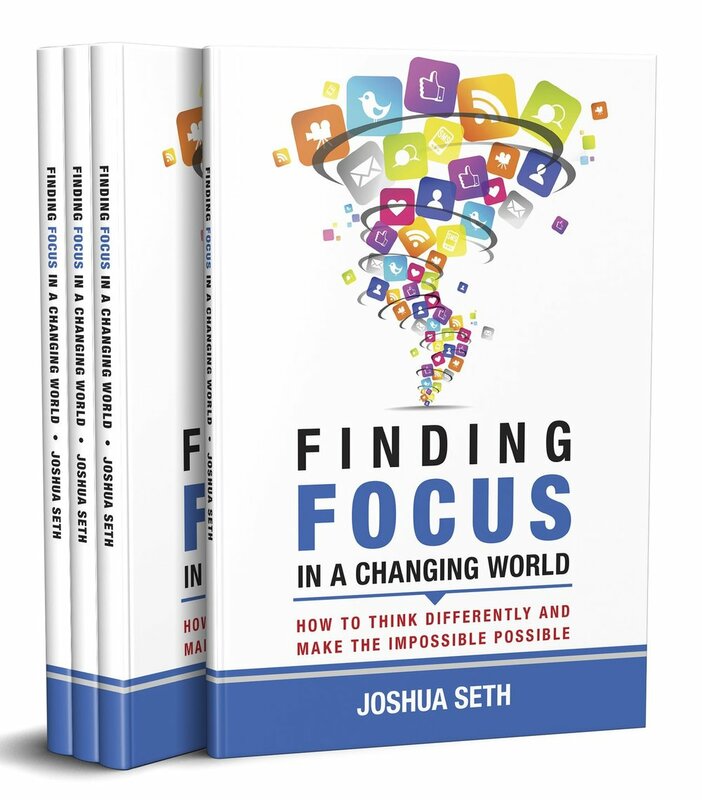 Joshua's presented at hundreds of college campuses (including Harvard, Stanford, and Oxford University) and for some of the world’s most innovative companies including Pfizer, Uber, Deloitte, and Disney. As a psychological illusionist, he's won awards from Hollywoodʼs Magic Castle and was nominated as "Best Male Entertainer" and "Best Live Variety Show" by Campus Activities Magazine for his mind-blowing mystery entertainment. And as one of Hollywood's top voice actors Joshua can be heard on nearly 100 animated movies and TV shows. He’s best known for starring as Tai on Digimon and voicing various voices on Spongebob Squarepants. Joshua Seth trained in cognitive psychology and performance at New York University's "Tisch School of the Arts" in Manhattan. He lives in Florida with his two little children, and enjoys swimming, golfing, and paddle boarding when not on tour.